Resistance in LPG pipelines expressed as feet of head of liquid LPG-gas per 100 feet pipeline - and pressure drop expressed as kPa per 100 m pipeline - are indicated in the diagrams below. The diagrams are made for steel pipes schedule 40. Engineering ToolBox, (2008). 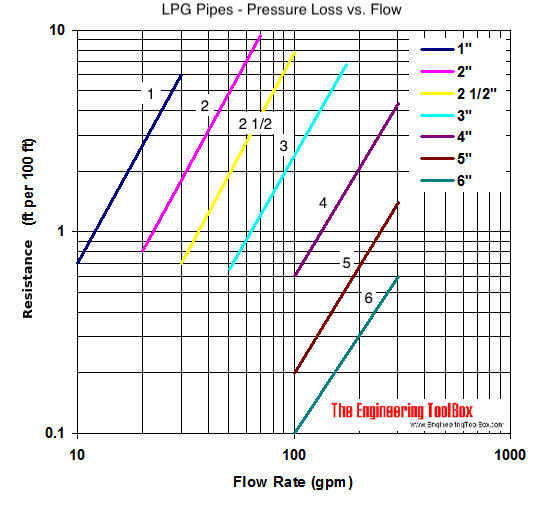 LPG Pipes and Pressure Drop. 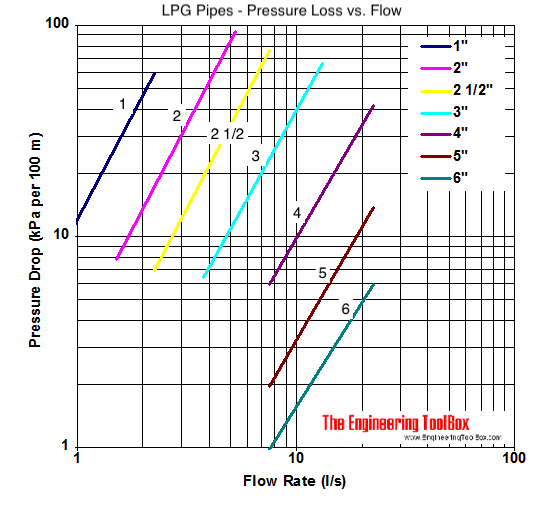 [online] Available at: https://www.engineeringtoolbox.com/lpg-pipeline-pressure-drop-d_1204.html [Accessed Day Mo. Year].